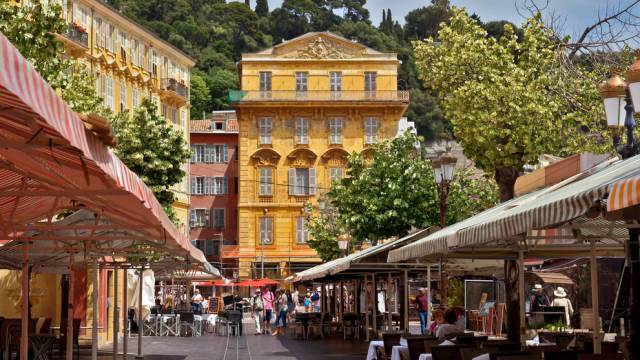 It’s the sort-of first day at TM Forum in Nice – The day most people arrive and get turned away from their over-booked hotel and buy their first extremely expensive steak in the Flower Market. And the first day of announcements and news from the exhibitors! Here’s some of that…. Cisco are involved in three Catalyst Projects this year. A nice write up of their objectives at the Cisco blog. One such project sounds like the dream-team of OSS innovators: Cisco is collaborating with Moogsoft, Ontology Systems, and SevOne to apply Big Data analytics to OSS. Ericsson has announced Adaptive Inventory 9.3. Elisabetta Romano, VP Head of OSS & Service Enablement, Ericsson says: “Ericsson Adaptive Inventory builds on a powerful software solution that is deployed around the world and sees Ericsson continue to redefine inventory management with capabilities that our customers need to be successful. Access to accurate network data positions operators for better decision-making, including the ability to predict the future-state network from a combination of current and proposed network plans. Go see them at Booth 62 to learn more.